Those who stay in apartments crave for spacious bungalows and those who live in landscaped acres dread the maintenance! So what really is the ideal size for a home? The multi-storey high-rises offer many titillating features and let’s not even get into their crazy architectural style. Offices, museums, theaters even live gardens in the middle of the 100th floor; we can expect all of this from modern architects. Till you find your ideal space to call home, office, whatever….here’s a recap of Fifteen Visually Stunning Architectural Delights for the future! NOAH proposes to be a habitat for 40,000 residents who can benefit from the planned residential units, school system, commercial, retail, hotels, casinos, parking, and public works facilities. Its triangle shape is most captivating and literally stands out on the waterfront. Quite a design challenge actually, this place needs to overcome both the physical and psychological damages of recurring severe weather patterns. 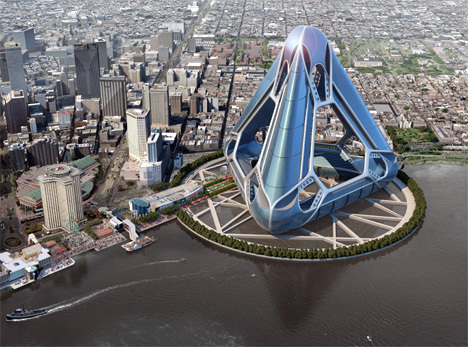 Critics may pan it for getting inspired by the romantic Eiffel Tower, but the giant Eko looks like a tower with webs on the side. 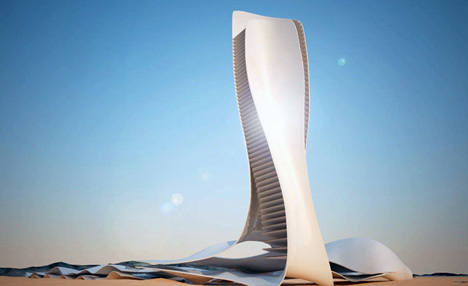 It boasts of 24 floors, 8500 Square meters of Nano Solar, 350 palms, a bar, a library and a big exhibition hall and is proposed as a futuristic housing high-rise for Zaabeel Park, City Center in Dubai. If Polo is the mint with a hole, then the Miami Dade College is a Super Building Campus Center for Miami Dade College is the architectural version of it. 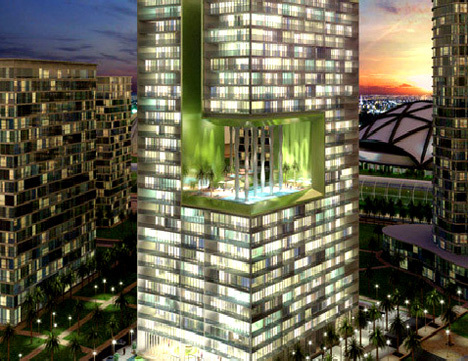 The high rise combines apartments, offices, educational facilities, and a lot of space for art exhibition. 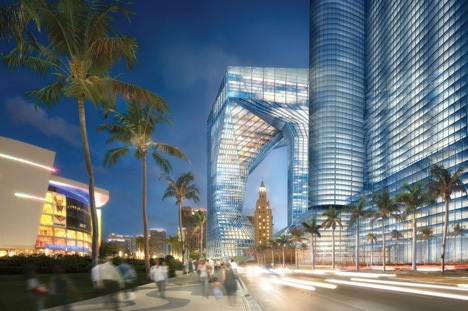 It’s supposed to get completed in the next two years time, can anyone in Miami confirm this? 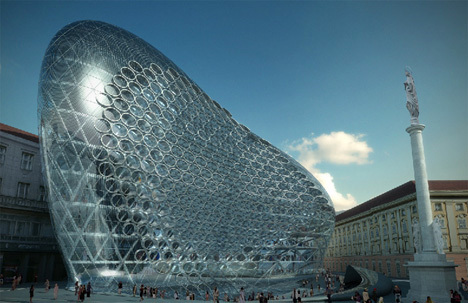 Conceptualized as a floating structure above the fluid landscape in Vilnius, Lithuania, the Guggenheim Hermitage Museum is the renowned firm Zaha Hadid Architects’ brainchild. Featuring glossy, metallic surfaces, this building is a visual treat for true connoisseurs. The “Klein Bottle” is a non-orientable surface, i.e., a surface (a two-dimensionaltopological space) with no distinction between the “inside” and “outside” surfaces. By constantly challenging our sense of perception, depth, linear orientation, interior/exterior space and pretty much any notion of what a dwelling should look like, the architects have successfully created a space that is surprisingly inviting and warm. 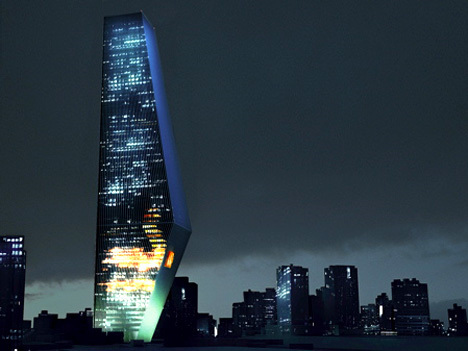 Resembling 2 inverted pyramids bridged by a lobby where shuttles and elevators pass thru, the Torre Bicentenario is slated become the tallest building in Latin America. Completion is scheduled for this year to coincide with the 200th anniversary of Mexico’s Independence. Two voids penetrate the building at its widest point providing ventilation and natural light. With the spate of earthquakes hitting our foundations this year, the thought of dancing towers is not so appealing. 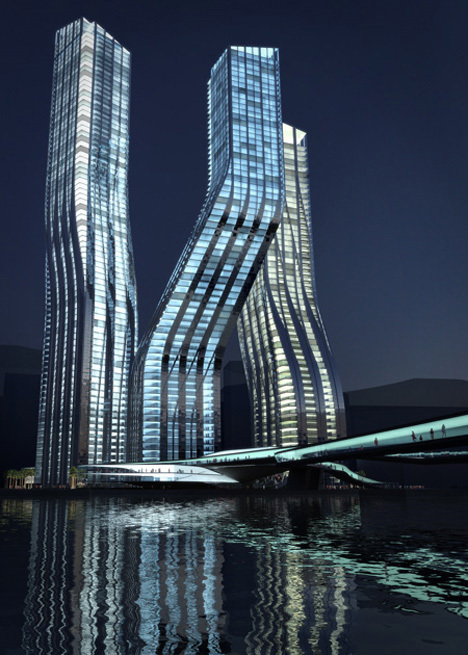 Keeping aside such fears, these three towers are inter-twinned to share programmatic elements and rotate to maximize the views from the site towards the creek and neighboring developments. Another visual treat that defies common norms. 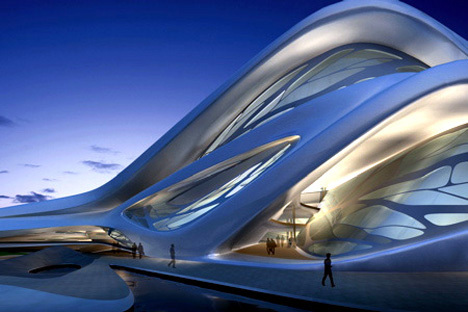 Another Zaha Hadid gem that looks to mesmerize us with soft curves and defining structure. When we see ambitious projects like The Palm and The Cube here, we can totally understand why Dubai went under the real-estate scare recently. 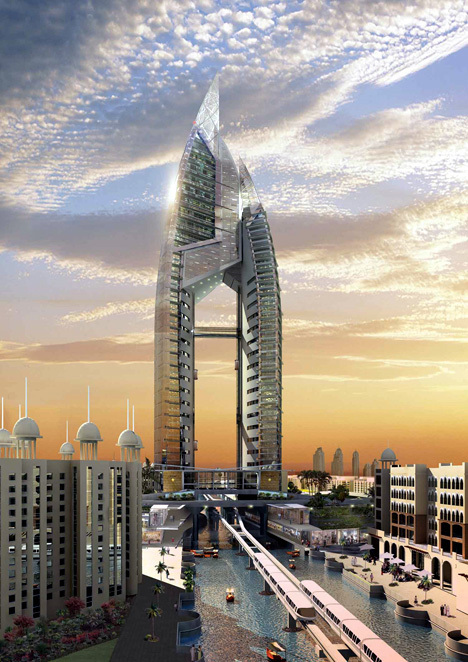 Is proposed to be a five-star condo hotel, an eye catcher at the Dubai Sports City. 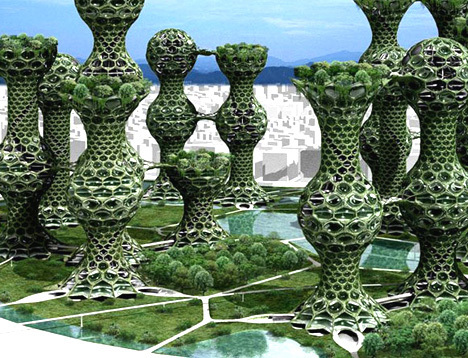 When you want to cite an example of how to marry nature with tall buildings, please refer the Seoul Commune 2026. It’s the case where you can negate the concrete jungle effect with a little help from Mother Nature! Yes Zaha Hadid is a staple at YD, what can we say…phenomenal works do warrant appreciation and here’s another feather in the Hadid cap! 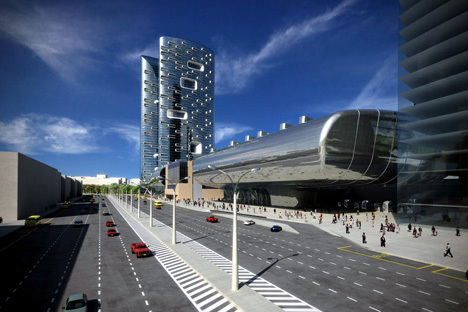 The Expocenter Project offers Moscow city a new exposition venue, hotel, and residential development. Tall and long beautifully combined. 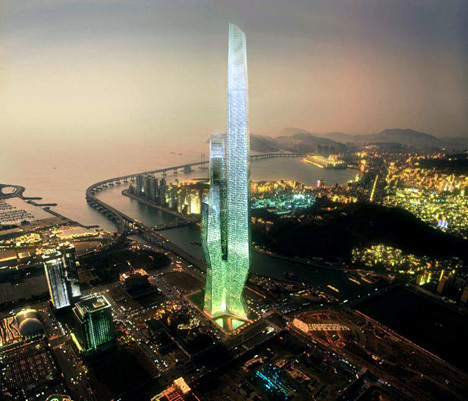 Asymptote won the contract to build this tower based on its ground breaking design of three separate tapered towers rising out of a robust and powerful base. 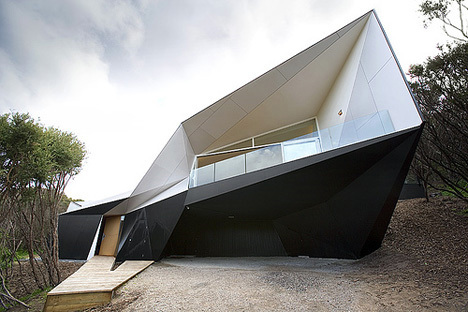 This one can be filed under sculptural beauty. With Trump attached to any property you can expect sheer extravaganza and nothing else! 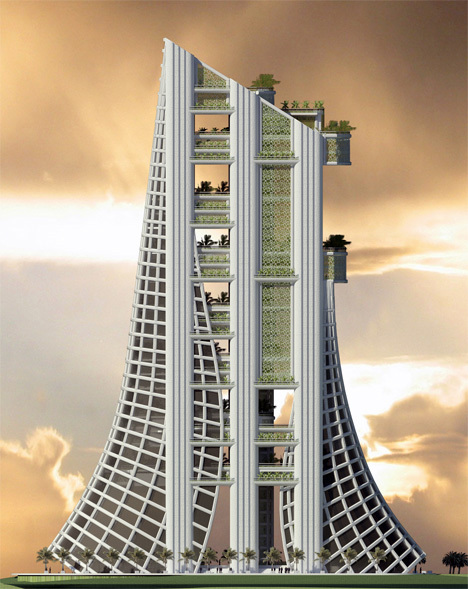 Likewise this 60-storey building features two asymmetrical halves forming a gateway to the Palm Islands of Jumeirah. The stainless steel, glass and stone faded arch-like structure includes a 300-room five-star hotel, 400 residential apartments, boutique offices, retail, gym and spa, restaurants and of course, access to private beaches. Like an oasis in the hot arid desert, the Gateway Building for Ras Al-Khaimah greets you with the magic and charm of the Arabs. A gateway to the city Ras Al-Khaimah, expect a Congress Center, Exhibition Halls, Shopping Center, and elite hotels in this complex. 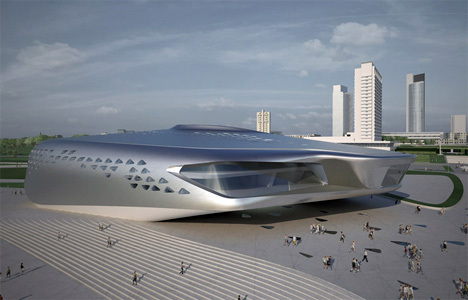 Zaha Hadid Architects does it once again with the spectacular Abu Dhabi Performing Arts Center. Fluid lines that transcend and meander through spaces to actually construct a Performing Arts Center! Its been described as a sculptural form that emerges from a linear intersection of pedestrian paths within the cultural district, gradually developing into a growing organism that sprouts a network of successive branches.